The full service airline expects to complete payment of the whole salary amount by September 26 to pilots, they added. With pilots warning of "non-cooperation" over delay in pay, crisis-hit Jet Airways has assured them that 50 per cent of their August salary will be paid by September 11, sources said. The Naresh Goyal-promoted full service carrier, in which Gulf airline Etihad holds 24 per cent stake, is grappling with acute financial crunch after two back-to-back quarterly losses. As much as 50 per cent of salary for the month of August would be paid by September 11 and the remaining amount by September 26, sources privy to the development told PTI. The salaries will continued to be paid in two installments for the next months, the sources said. "Withholding salaries, that too without prior notice, is a serious matter and the management will bear sole responsibility for any repercussions," Jet Airways' pilots said in a communication to the management earlier this week. "We would like to advice that failure to address the above points and not paying the salaries on time would lead to non-cooperation by pilots," they warned. The salaries for the month of August have been delayed. In a statement, a Jet Airways' spokesperson said the management is in dialogue with the pilots and other members of its team to resolve some issues, including disbursement of salaries. Significantly, Jet Airways had delayed payment of July salaries to its staff. "Our issues such as the disbursement of salaries, are being amicably addressed and we continue to resolve ongoing concerns through constant dialogue with the airline's management team," the National Aviator's Guild (NAG) said in a statement. 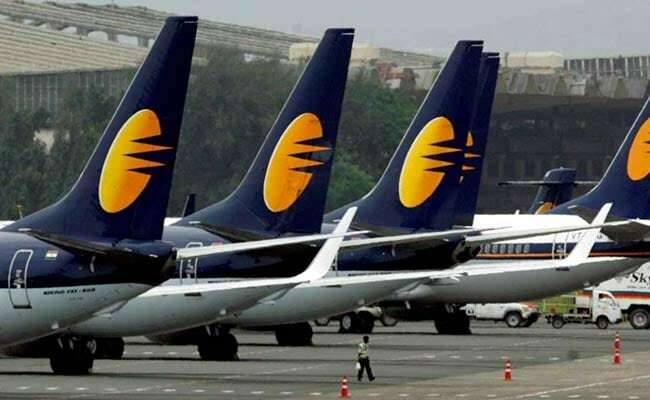 The NAG, a grouping of around 1,000 pilots of Jet Airways, also said the management has been receptive of the cost saving initiatives suggested by it. In June, the airline proposed up to 25 per cent cut in salaries of its employees but deferred the plan following opposition from its pilots' union -- National Aviator's Guild (NAG) -- and engineers. "(Earlier) it was agreed that, henceforth, salaries would be paid on time and, if there were to be a delay, the same would be communicated to the pilots well in time," the pilots said. "We are deeply disappointed over both these conditions being violated by the management and the pilot body would be sure to share our disappointment," they said. Last month, the pilots had written to airline's CEO Vinay Dube expressing their displeasure over the "unnecessary" increase in expenditure in recent times. In the fresh communication, they have also demanded that "all unnecessary positions and committees/ groups created in the last three months be dissolved with immediate effect and the hiring of the expensive expats (vis-a-vis domestic pilots) be stopped forthwith". "We trust you will treat the above with the urgency it deserves and take immediate steps to resolve the situation," they said in the communication. The airline spokesperson said that in line with the mandate received from the board of directors, the management is undertaking definite steps to turn around its business and is evaluating various funding options on priority to resolve the interim challenge. The management is confident of resolving these challenges, he added. While stating that the airline is committed to honour its obligations towards employees, the spokesperson claimed that it has "already paid salaries on time to 84 percent of its employees". The airline reported a loss of Rs 1,036 crore in the three months ended March this year and the same widened to Rs 1,300 crore in the June quarter.